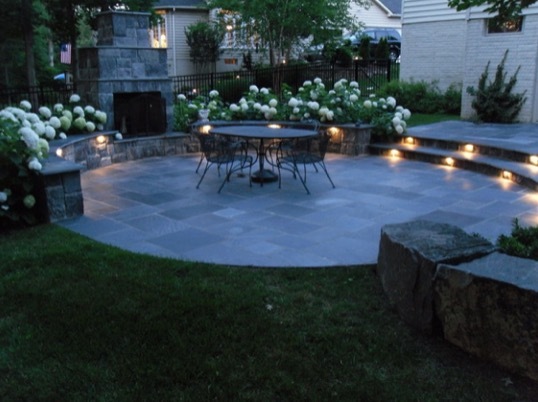 Eliminate everything you thought you knew about slate patio design. Side by side all in a row? No, thanks. It’ll take a little more inspiration than that to get us going. 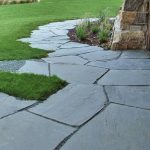 We have searched far and wide, and have compiled a list of nine of the coolest slate patio designs we could find. 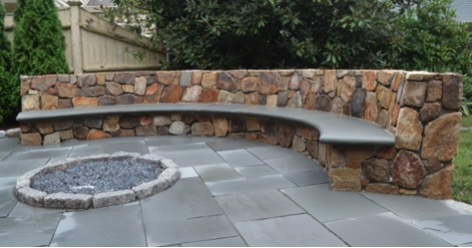 Slate is a popular patio material, as it is somewhat flaky, and therefore easy to shape. 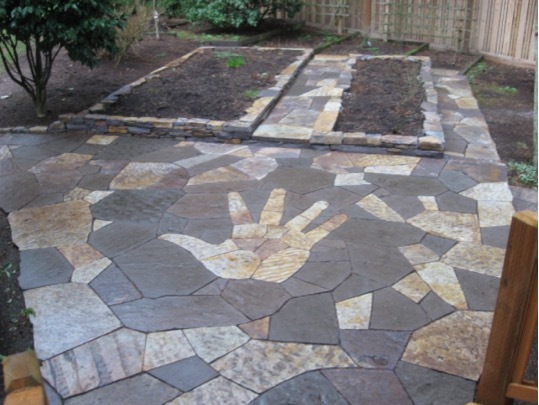 This lends to all kinds of fun when designing a patio. From mosaic handprints to swirling brick, to adding pops of warm tones, here is a gallery of some awe-inspiring slate designs to work into your backyard entertainment area! 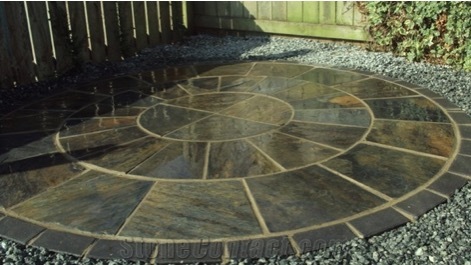 This rounded slate patio is fantastic. The circular design has a containing effect, drawing everything into the middle. 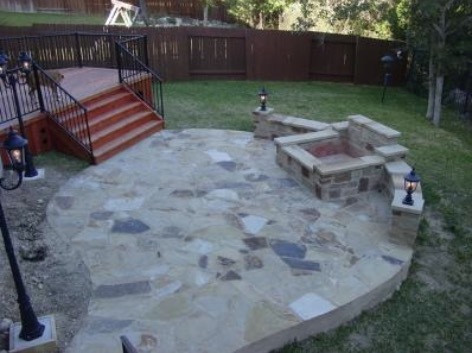 This could be a romantic setting or a fun party patio with wide steps and ledgestone that allow for extra seating. We imagine dancing after dinner. The built-in lighting is a great feature, which can be programmed to sense the fading daylight and come on automatically. No need for candles or dangerous extension cords: just a nice, roaring fire, and some potlights. The slate is worked into the steps and fireplace to create a unified setting. 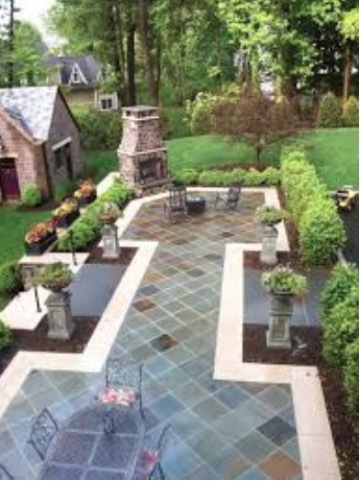 This design is not entirely slate, but is rather a mosaic of different kinds of American flagstone and slate, for a flattering mishmash of shapes and hues. The darker, cooling pops of slate grey add just enough interest to tie the patio in with the surrounding décor, which is wrought iron. 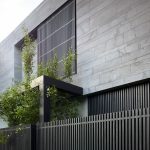 In this design, slabs of slate are laid in a grid pattern all across the yard, enticing visitors to explore all area and interact with all the gardens and features. Loose gravel fills the joints, which can get messy, especially with pets or children around, but of course if you had children or pets, this would not be your patio design of choice. You might like to try this kind of design if you have the yard to yourself for enjoyment. Remember to consider the purpose of your patio before choosing a design. 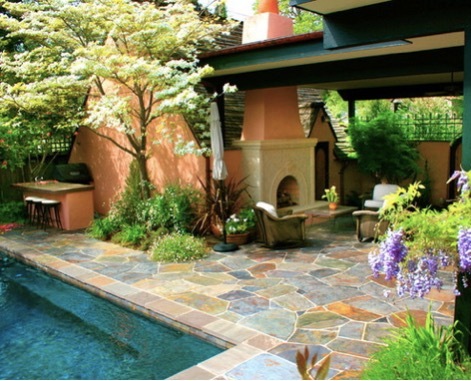 There are all kinds of things you can do with a flagstone patio – just make sure that you are committed to a design or motif before laying everything down! Here, irregular slabs are laid tightly together to form a solid patio floor comprised of different tones and textures. The handprint is an interesting and courageous endeavour! This slate and wooden patio suit the surrounding wooded landscape perfectly. We love how the slate leads off the deck and acts as a middle ground between the home and the garden. 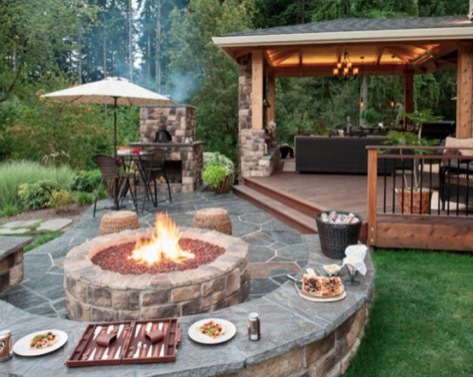 The homeowners have wisely separated the firepit from the flammable wooden deck, and built up a ledge with slate top to use as a bar, table, or additional seating. This symmetrical layout features slate tiles that have been laid on a diagonal to add some dynamic interest to the otherwise level and balanced space. The cooling tones of the slate are very nice against the surrounding greenery. Both dining area and firepit seating are off to the sides of the central pathway, creating private, intimate settings. Try rusty slate if you’re going for a rustic, antique look. Slate can be cut into many sizes and shapes that, if you’re creative enough, can lend to some seriously awesome designs. Here a geometric pattern is created with three different cuts of slate, to create a circular wheel that draws toward the centre, with a brick perimeter. Slate pieces have very sharp edges, and it is very important to make sure the excavated land is perfectly level throughout before laying your tiles. Make sure to rinse down your patio occasionally to allow the natural grains and hues of the slate to come through. Why not build your furniture right into the patio? Rock will stand up to the elements throughout all seasons. This auditorium-style bench seating is perfect for sitting around the firepit, and blocks the wind. The combination of red brick on cool slate is quite striking. The opposing hot and cold tones complement each other and tie in with the house’s materials. You can compose interesting patterns with the smaller brick, which is cheaper than slate and will save you some money. Here the bricks are stacked and topped with slate to match the patio floor and provide auditorium-style seating. On this Mediterranean-inspired patio, rusty slate flagstone brings out the warm tones in the fireplace and other patio fixtures, while tying in the cool tones of the water. The irregular cut of the slate tiles makes for an interesting, fun patio floor, while pavers line the perimeter of the pool as a subtle visual barrier. 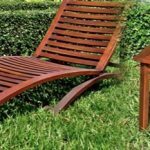 Rusty slate has tones of orange, grey, blue, and sometimes green: bring these out with such complementary colours as purple, yellow, and green in your landscaping or patio furniture. Here, there is also some blue in the house itself. This is a great design that carefully ties everything together. 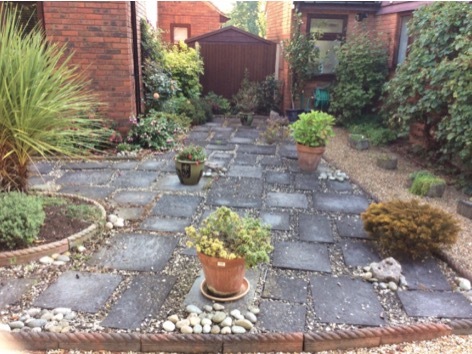 As you can see, only your imagination can limit the things you can do with access to some slate and your patio, whether it is brand new or being re-imagined. 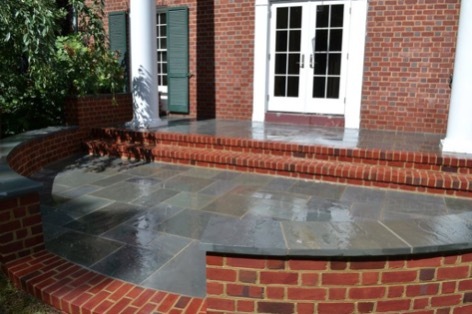 Slate can be the focus of your patio, as we’ve seen, or it can be added as an accent. 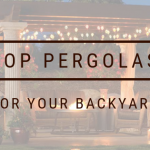 In any case, if you have the budget, as well as the vision, your photos could be the ones inspiring others to daydream about building a new patio.